Emmett, Michigan. 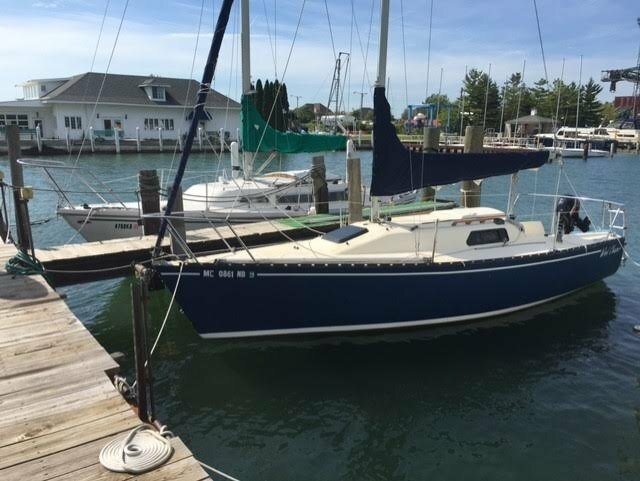 Awesome trailer sailor (racer/cruiser) designed by OH Rogers with very solid and sound construction, roomy interior that sleeps 5, and shallow draft. Easy to trailer, She (Wind Chaser) is in great shape and ready to sail. Self raising mast hoist also goes with the boat. One person can hoist and step mast.